Allen-Bailey’s Health and Wellness Committee organized a team for The American Cancer Society’s Making Strides Against Breast Cancer Walk on October 19th. For the second year in a row, employees joined thousands of other walkers from the Rochester area to raise funds and awareness to end breast cancer. We are proud to announce that our team raised $1,500 for The American Cancer Society, where 1 out of 2 women diagnosed with breast cancer go for information and help. 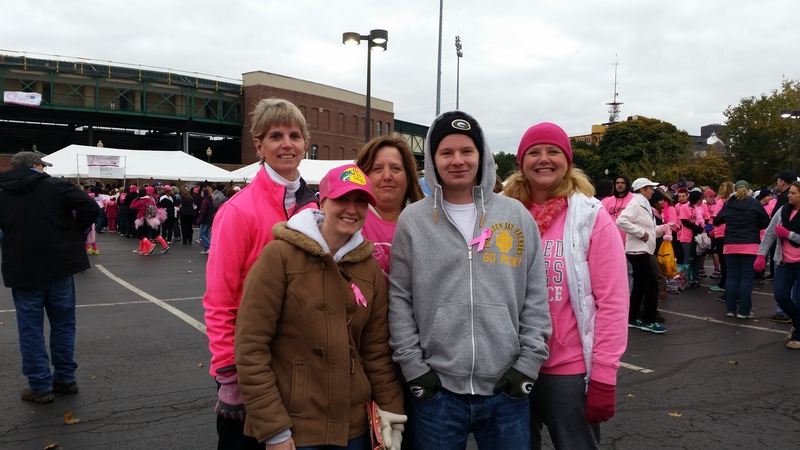 Pictured below are members of Allen-Bailey’s team at the Making Strides Against Breast Cancer event. Each quarter, we ask one hundred customers to rate their recent experience with ABTL, including their communication with the company, the price, quality and shipping of their product, and the likelihood of repeated business. We are excited to announce this is the first time 100% of respondents said they were “extremely satisfied” with their most recent experience. – Cliff’s Fire Extinguisher Company, Inc.